Seamed corners (no welds) for a watertight seal. DP-24: 24 gauge standard drain pan. 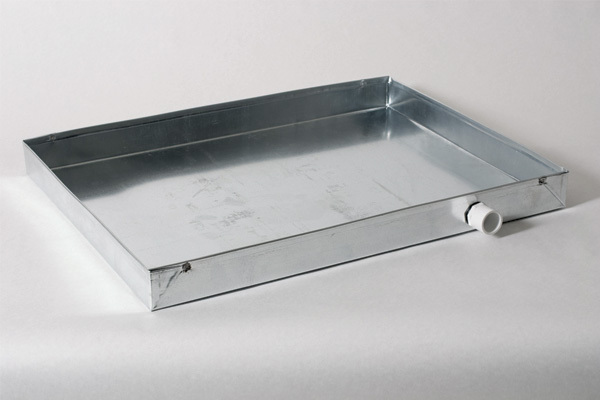 DP-28: 28 gauge standard drain pan. DP-30: 30 gauge standard drain pan. DP-NO: Drain pan without drain connection.